A great deal of excitement has surrounded the new Bushnell 1-6.5x24mm scopes. I suppose this is not a surprise. 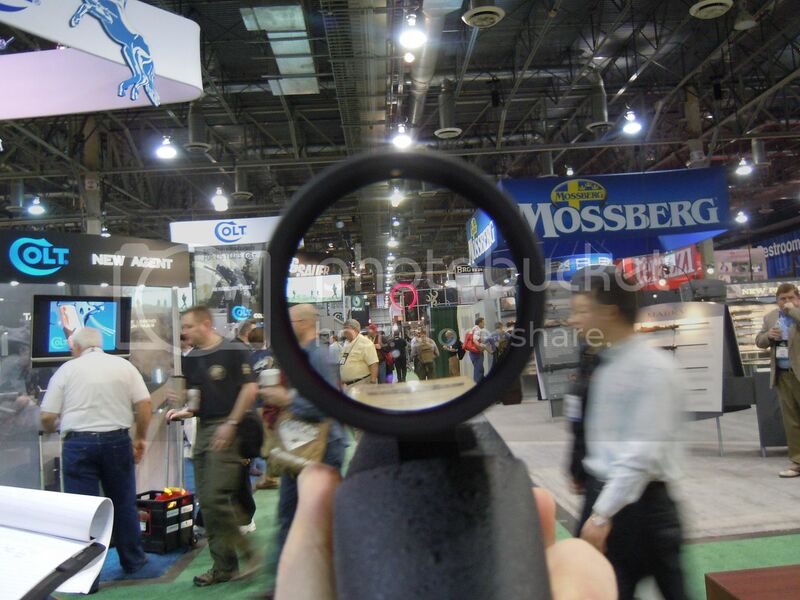 I have observed that there are quite a few individuals, particularly in the mid-priced market, that are brand loyal to either Bushnell or Leupold. This is probably a very good endorsement of these two brands. If they produced a bunch of poor products or jerked their customers around, they probably wouldn’t have much of a following. This year Bushnell has decided to jump headfirst into the “tactical world” by releasing a very complete line starting at 1-6.5x24mm and going all the way up to 6-24x50mm. Allow me to digress for a moment to talk about the word “tactical” today. I hate it. I would probably hate any word that is used with such frequency and marketing gusto, but tactical draws my special ire because I think that all the marketing gusto is advertising something it ought not to, killing people, and is applied to just about any product I find remotely interesting. I will not bother to explain why I think killing people is usually a bad idea (and certainly never something to glorify), but I would like to go into why these scopes tend to be the ones I find interesting. I, like presumably many of you, use my rifles for many different purposes: including hunting, varmint elimination, and competition. Quite a few of these purposes benefit from having the ability to range a target, compensate for bullet drop, illuminate the reticle for low light use, or dial down the power down to unity for comfortable and fast use with both eyes open. Though all of these features might benefit someone in the business of killing other someones, I suspect that they much more often benefit folks in less morally precarious applications. I am not sure why the last few years have been so instrumental in bringing more useful features to the market, nor why these features must be marketed in the way that they are, but I applaud the first trend and am dubious of the second. And now for something completely different. Bushnell has decided to avoid the sfp / ffp debate and the stadia / calculation debate with its Tactical line by simply offering models with both types of reticle in either focal plane. They have, however, decided on putting all their chips on the metric system and all of the models have .1mil turrets with mostly mil ranging elements. I applaud the turrets matching the reticle. This really isn’t rocket science to get right, but most folks seem to still get it wrong; so I suppose congratulations are still in order. Speaking of the reticle, both the ffp and 2fp models that I had a chance to play with at the show had what appeared to be a mil scale reticle. 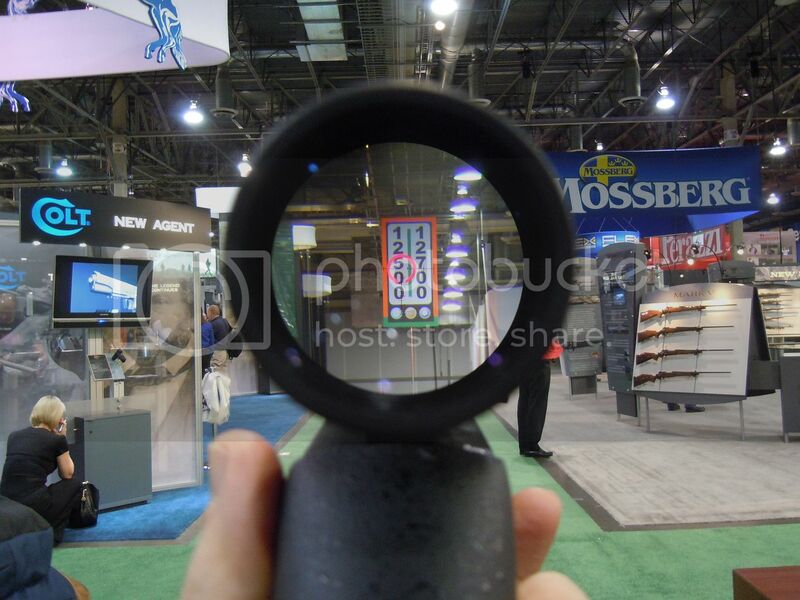 This reticle consisted of a central horseshoe with a vertical mil scale below it. To the right and left were a few lines that might be mil related, but were unlabeled as well as too few and far apart to be of much use ranging. I understand these scopes are also available with a stadia based reticle and bdc. I have found no documentation regarding the specifics of this, but it appears similar to Trijicon’s chest width ranging system. I have pictured the ffp and 2fp scopes at full illumination at 1x as well as the ffp at full illumination at 6.5x. As you might expect, the 2fp version appears brighter. 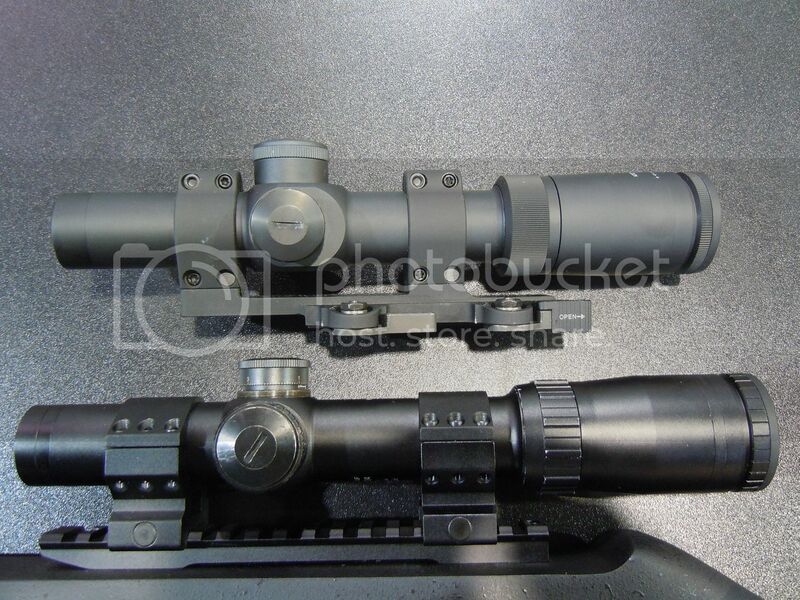 Regarding the appearance of these scopes, which look identical to each other, they look and feel very good. More specifically, they look and feel like Light Optics scopes. 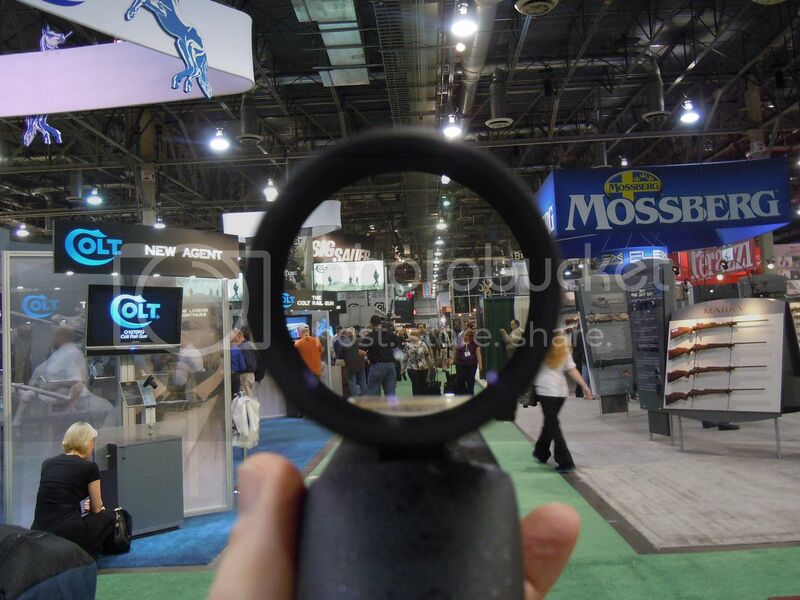 The adjustments are the same type as are seen on the GRSC, Weaver, Sightron, and Trijicon. These adjustments seem to be a common off-the-shelf component. I like them and I am not surprised to see so many brands using them. The optical clarity of these scopes is good: right on par with that of the GRSC reference, but with a field of view that is slightly larger than the GRSC. All in all these, appear to be solid scopes. The only problem they might have is that priced at $1,400 street for the ffp, they cost a good deal more than some very, very similar optics. They are counting on the Bushnell name, RainGuard HD, and a slightly higher magnification range for a good deal of scratch. Interestingly, Bushnell is actually charging less for some of the higher powered Tactical series scopes than for this 1-6.5x24mm model. Given their mil / mil configuration, ffp design, and, in some cases, reticles that appear desirable; these scopes may prove to be class leading at their price points. This, of course, assumes the same level of manufacturing quality and optical clarity as the 1-6.5x24mm model.